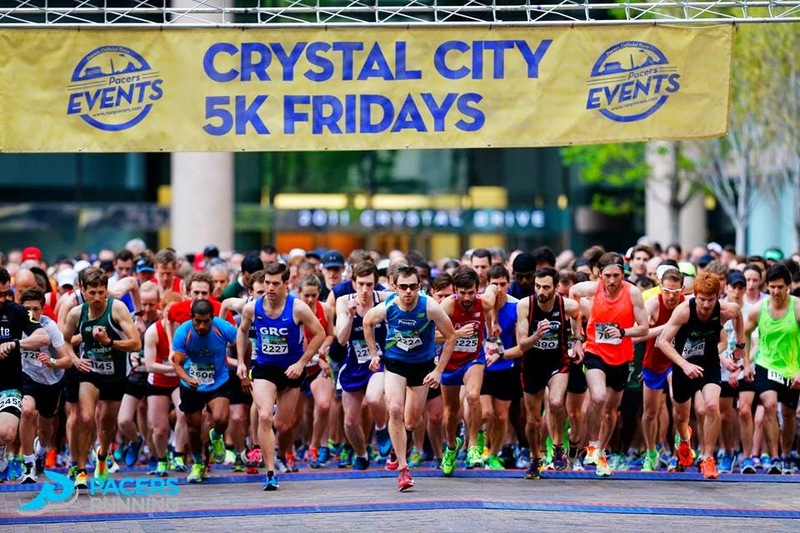 GRC blue was again on display at Friday evening's Crystal City 5k, the third iteration of the month-long series put on by our friends at Pacers. Ryan Witters finished in 15:44, good for second place. Laura O'Hara, returning to racing after a long break following to the birth of her daughter, Greta, cleaned out the cobwebs with a solid 20:30. Feeling inspired, Greta made an appearance at the GRC's workout the next morning to watch the team (including Dad!) put in some hard work on the track. A large contingent of the GRC showed up for the first warm, humid workout of the season in order to tune up for the next few busy weekends of racing. They are sure to be action packed! Tomorrow morning, a small but mighty group of GRC marathoners will toe the line in Hopkinton to run 26.2 miles into Boston. Brian Young, Lavar Curley, Chris Bain, ex-pat Robert Jarrin, and GRC companion Matt Lehner all are hoping for a great showing despite unfavorable weather reports. Be sure to tune into the blog for updates!